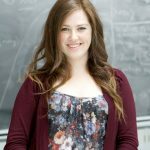 Li Lab postdoctoral fellow Erin McConnell has been awarded the NSERC & L’Oréal-UNESCO Women in Science Supplement. Congratulations to Erin for her fantastic work as a scientist and as a role model for young scientists around the world. Explore the following links to learn more about Erin’s work and the work of the other great researchers recently recognized. « Winners of the 2018 Halloween Group Costume Contest!